Use miniature quilt blocks or the included nine-patch pattern to make one of these charming sewing machine covers. 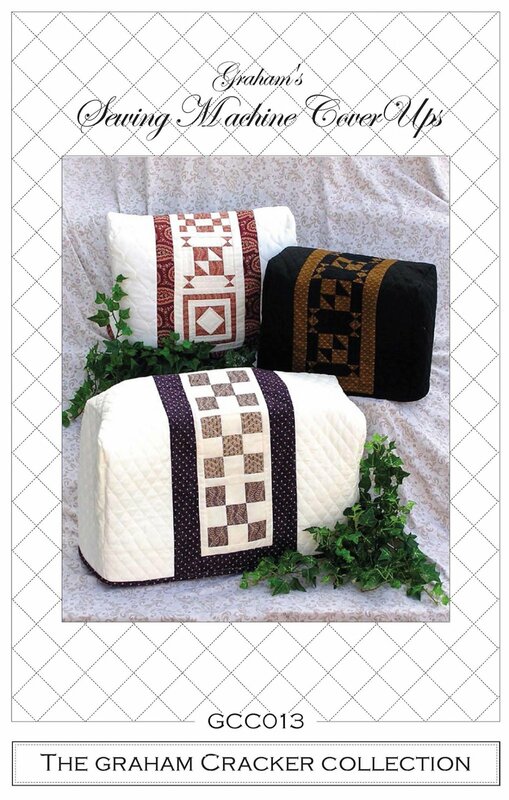 The pattern includes three sizes. The large CoverUp fits the larger embroidery/sewing machines. The medium CoverUp will drape over a standard sewing machine, and the small CoverUp fits the Singer Featherweight.